Now here's a real charmer! 3 suite home on RT5 view lot in The Drive. All suites feel like home with great tenants . 2 side by side upper suites have skylights, bright living spaces & 1 bedroom on main+ 2nd bedroom & balcony on top floor. Top floors alternate mountain vistas & views to Clark Park. 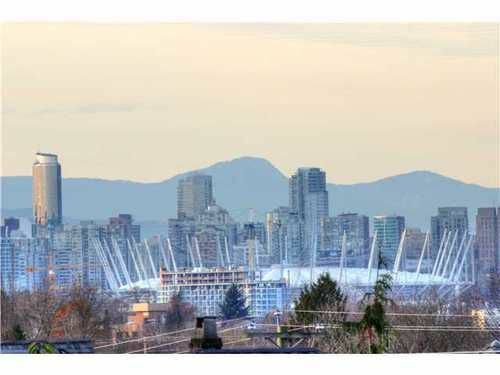 Incredible views from main floor shared deck to city & mountains. Basement has another bright, spacious 2 bedroom suite. Ample garden area, 3 open parking, shared coin laundry & plenty of storage. Mechanically updated with most work done in 2003/2004. All copper water lines, hot water heat, sprinkler systems, fibreglass decks, extra-large 35 x 122 lot. Great home across from Clark Park. Buy as a holding property or a shared home.